The MADC is Australia’s oldest advertising club. Since 1955, we’ve celebrated and elevated the very best work, people and companies Melbourne’s thriving creative community can muster. Our Award nights are legendary, leaving a legacy etched in our famous MADC Star awards, and in the memories of our most seasoned veterans. While we’re proud of our heritage, a reimagined and reinvigorated MADC is ready to usher in the new with a fresh approach to celebrating Melbourne creativity. One that is inclusive of the stalwarts and a new generation of legends in the making. Our ‘MADC Presents’ series is a resounding success. Amazing value, this regular fixture in the creative calendar is an opportunity to be inspired by industry luminaries, while sharing a beer and chinwag with your Melbourne ad comrades. The MADC ‘Wunderkinds’ program takes the cremé of advertising graduates and gives them a once in a lifetime opportunity to team with a senior industry creative for three months of one-on-one mentoring. And our reformatted ‘MADC Stars’ will see a new kind of award show. 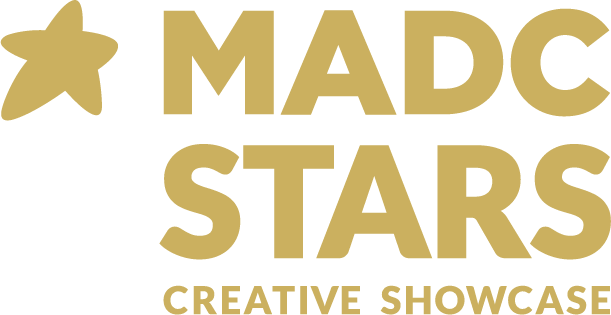 No gold, silver or bronze, the MADC Stars Creative Showcase is simply a curated collection of the best of the best. We’re lucky to call Melbourne home. The MADC is committed to building on our reputation as one of the world’s most creative cities in every way we can. Meet Grant from MADC on Vimeo. Melbourne’s original award show is back. Join us and celebrate world class work with the presentation of the MADC Stars Creative Showcase and party. November 1, 6:30pm til late. Forester’s Hall, Collingwood. Tickets just $50.